The men of Iron-Clad Security are definitely eye candy and it sure doesn't hurt that they are all extremely intelligent. Joey is no exception. He is pretty laid back unless someone threatens someone that he is hired to protect or someone that he cares about. Olivia is trying to run a clean race against the current governor who doesn't appear to care about anything but padding his pockets. When she starts getting threatening emails and damage to her property, she is rather glad that her computer had broken down in the first place. 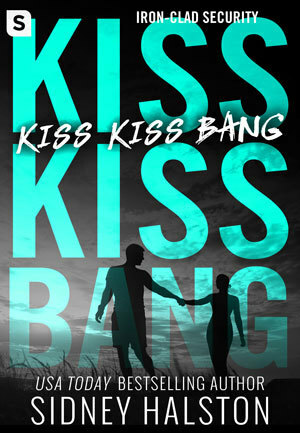 KISS KISS BANG is the third book this series that I have thoroughly enjoyed. It stands quite nicely on its own merits though I do recommend the whole series. 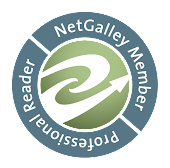 The plot is tight with the tension ratcheting up slowly until you are sitting on the edge of your seat. The dialogue is witting and some of the scenes are flat out amusing. Another thing that I appreciated with this book is how the sexual tension is allowed to build quite nicely before there is any relief. I do recommend this book to any of my readers who like a good romantic suspense especially one that delves into the dirty world of politics. Joey is worth drooling over and Olivia is a good example of a single mother trying to juggle her daughter, her job, and finding time for Joey.